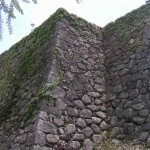 We begin with a visit to the ruins of Matsusaka Castle, built by Ujisato Gamo in 1588. 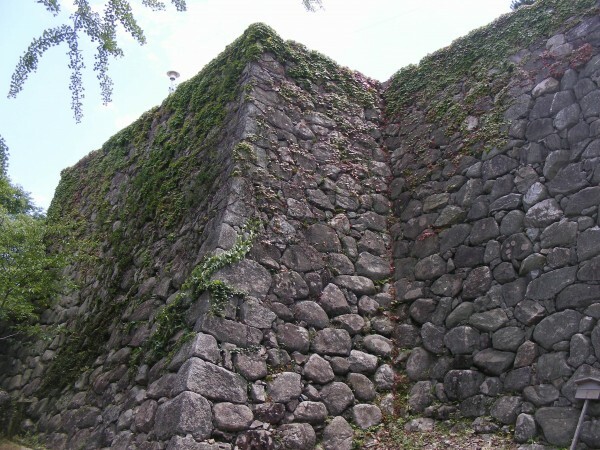 During the Tokugawa Period, this castle was ruled directly by the Kii Branch of the Tokugawa family, one of the three main branches. Guarding/controlling the strategically important Ise road, this was not the main castle of the Kii (their headquarters were in Wakayama on the western side of this large peninsula) but it was a powerfully constructed fortification, using techniques similar to that of Azuchi Castle (in modern day Shiga Prefecture). It was the head (Tokugawa_Yoshimune) of this branch of the family who became the 8th Tokugawa Shogun in 1716 and began implementing reforms. 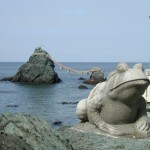 Matsusaka became a prosperous market town and the key administrative center of the region.. The samurai barracks (“Gojoban-Yashiki”), amongst just a handful of original tenements of this period left in Japan today, are amazing. 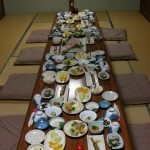 We will enter one, a rare chance to see exactly how the families of samurai lived. 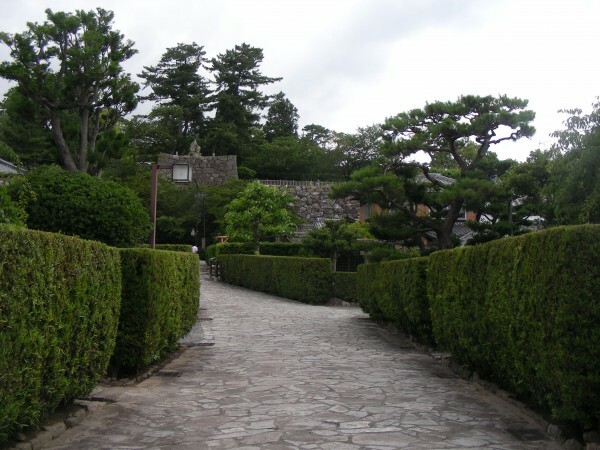 A few of the houses are still occupied by the direct descendants of the men who were serving the Tokugawa Daimyo of the Kishu domain when the Tokugawa Shogunate fell from power in 1868. The Gojoban-Yashiki are simple townhouses, and quite different from narrow fronted long townhouse (machiya) built by merchants. During the Edo period, a significant portion of the taxes extracted from merchant class were calculated by the width of their storefront, an issue samurai didn’t have to think about. While fairly spartan, the houses would have been comfortable enough by the standards of the day. 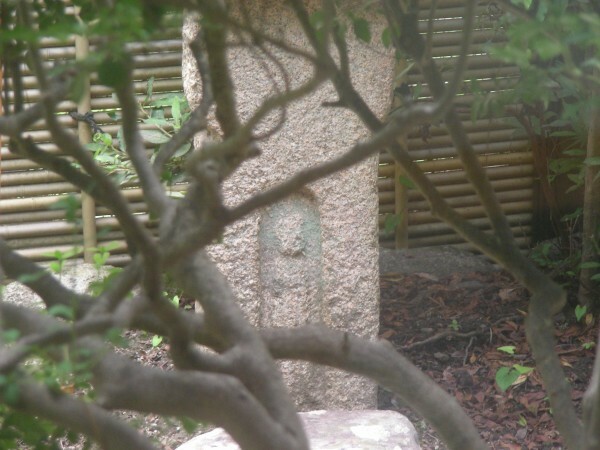 There are many interesting things to see, including an image of Mary, hidden and buried at the base of a stone lantern by a secret Christian after the banning of the religion in the 17th century. 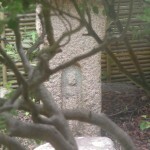 There is almost no information about the lantern in local literature, but it is possible to visit and see the image. 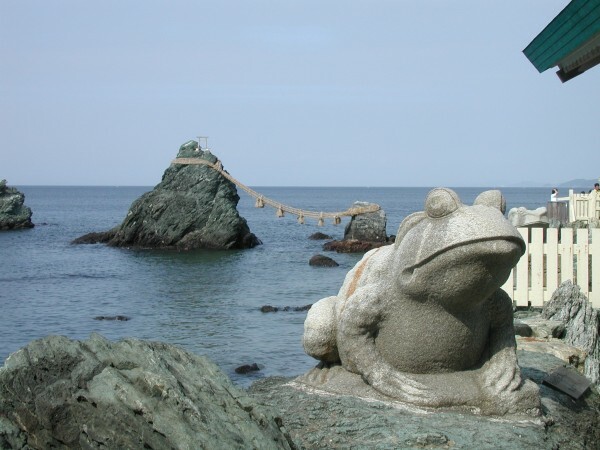 Next are the famous wedded rocks of Futamigaura, where pilgrims cleansed themselves prior to visiting the Ise Grand Shrines, the most important shrines in Japan. From here we head to the delights of Okage Yokocho, an old style neighborhood where pilgrims would let their hair down so to speak (class distinctions were usually ignored amongst pilgrims, offering men and women of different social class all sorts of possibilities). 松阪牛の牛丼 A lunch to die for. 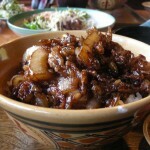 These days Mie Prefecture is increasingly famous for its incredibly good beef – “Matsusaka-gyu”. 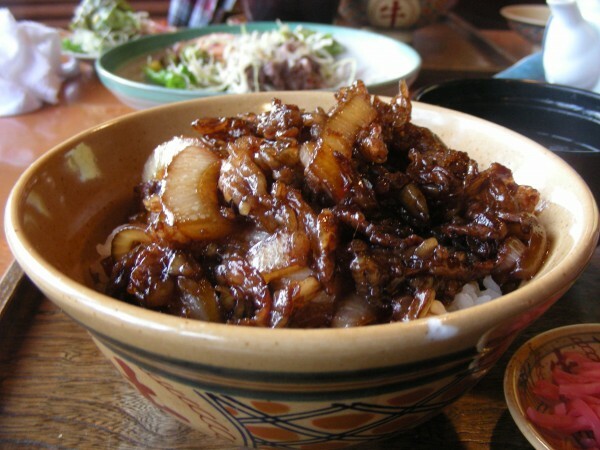 Many of the shops are centuries old, and we will enjoy a Matsusaka Beef lunch like no other. Lunch is included in the tour fee, so please let us know in advance if you are a vegetarian. There will also be some free time. There are usually taiko drumming performances and other displays available, and the district is superb for souvenir hunting. 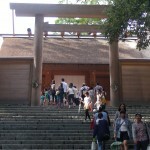 After lunch we’ll visit the Naiku (“Kotai Jingu”) of the Grand Shrines complex. 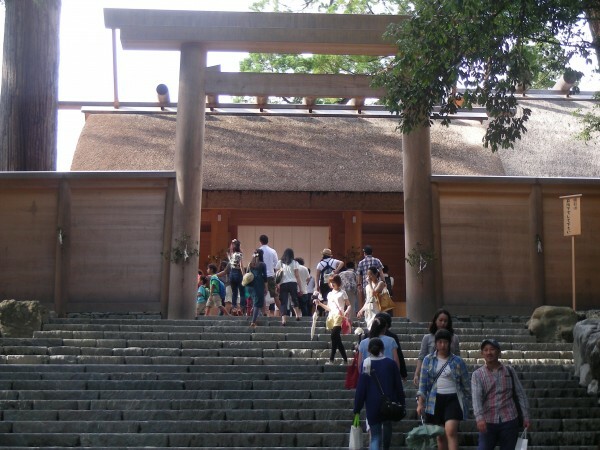 Dedicated to the worship of Amaterasu-ōmikami, and rebuilt ever 20 years since either the 4th or 5th century (the records are not provable), the buildings of the Naiku provide a perfect example of pre-Buddhist architecture, and are the most important shrines in Japan. The Naiku shrine is supposed to be where the Emperor’s sacred mirror is venerated (It is probably just a common 4th century Chinese bronze mirror, but you can’t see it, and it is probable that no one else has seen it for many centuries). From Ise we head to Goza Shirahama. A very remote fishing village at the end of the peninsula protecting the pearl farms of Ago Bay, this is the perfect place to relax in summer. A beautiful white beach, protected water, and incredibly good seafood. 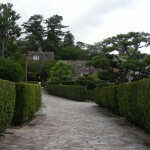 Goza Shirahama has a tropical like atmosphere in the summer. In the early mornings or on weekdays (even in the peak season) the beach is virtually empty, but the white sand can be crowded on weekends in the summertime, particularly in the afternoons during school/university holidays. 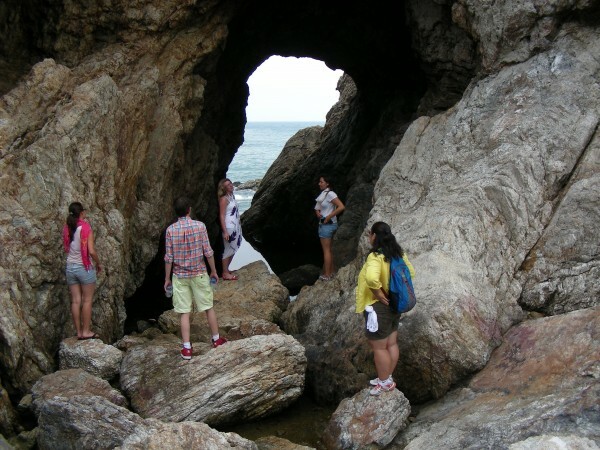 In addition to the many minshuku and ryokan, there are small cabins (called “bungalow” – but actually like small tatami floored huts/shacks) that can be rented just meters from the beach, and car camping is available – so the beach is popular with university students and the young. There are plenty of shops, ice-cream vendors etc. Fireworks are permitted on the beach at night (Saturday nights are the most popular, and we will join in the fun). 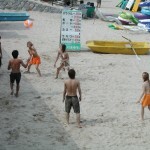 The beach however is not the village’s sole activity, employer or attraction. 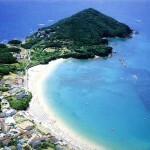 The history of Goza is considerably older than the combination of sunscreen, bikini girls and parasols would suggest. The local economy is marine based – Goza has an important local fish market as it is one of the few villages in the area with a sealed road (many of the fishing trawlers based on the local islands bring their catch to Goza’s fish market). 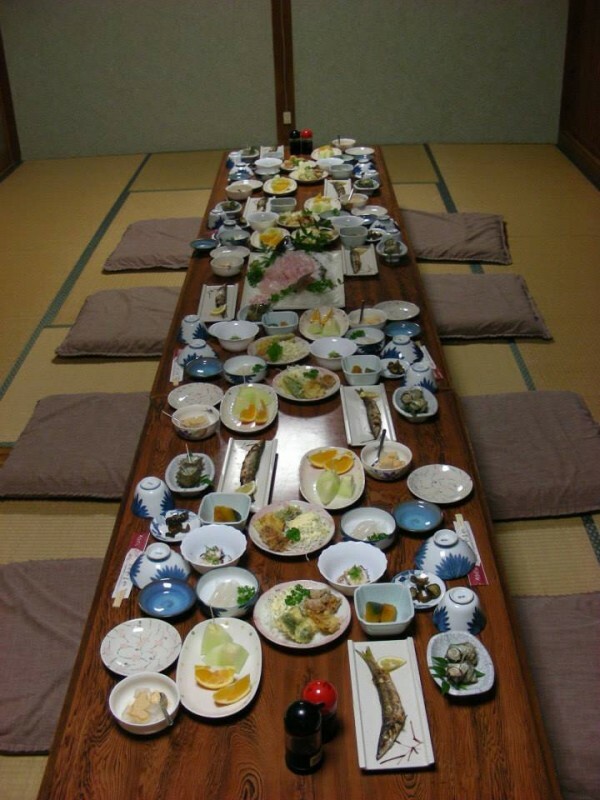 Our minshuku is located less than 200 meters from the fish market, and the food is absolutely awesome. This is one of the best seafood banquets you’ll ever enjoy, so bring your appetite with you! On Sunday, after a lazy morning on the beach, we head through the National Park (great scenery enroute) to Toba. Toba has a rich maritime history (even access to the castle gate was by water) and is now primarily a tourist destination. It was in Toba that the world’s first cultured pearls were developed by Mikimoto Kokichi in the late 19th century. One of the showpieces of Japanese inventiveness, at Mikimoto we also watch female Ama divers working the seabed (without breathing apparatus) and enjoy a superb museum. The displays and exhibits are fascinating, and it is sometimes difficult to get the female participants out of the gift/jewelery shop, but there is a lot to see, including some extremely beautiful works of art utilizing pearls from throughout the world, including pieces from the Middle East and the Mediterranean Sea region during the days of the Roman Empire. 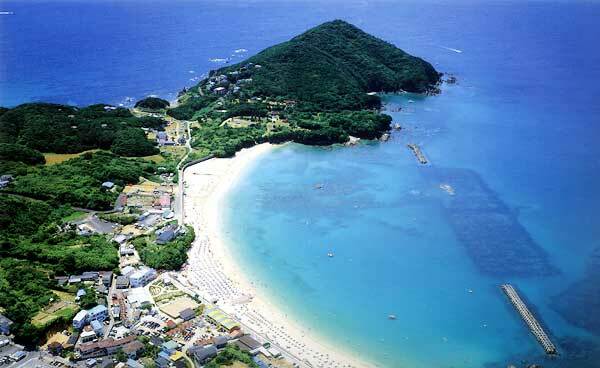 From Toba our bus will drive aboard a ship, and sail across the mouth of Ise Bay to the Atsumi Peninsula in Aichi. 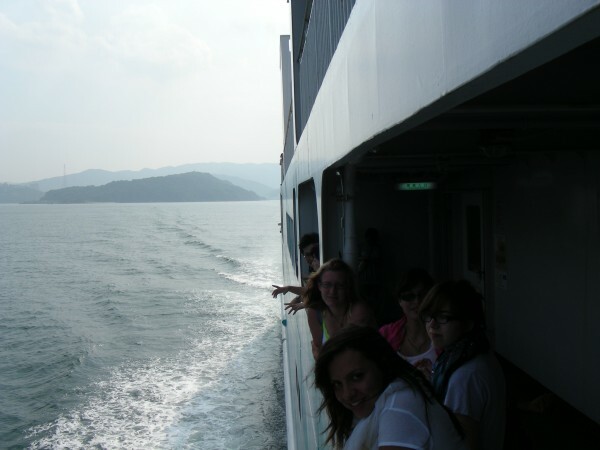 It is much cooler at sea, you get good views of the islands and secluded beaches, and if you are lucky you can see the dolphins that often play in the bow waveｓ of the ferry. 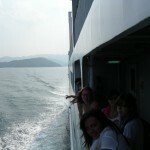 All in all, it is a pretty nice way to travel. When we reach landfall, our first destination is Hii-no-Sekimon. 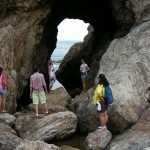 These are rock formations and caves formed from wave action. Great place for photographers and beachcombers. From here we will head to Akabane, a long beach very popular with the Japanese surfing community, and a very different scene to Goza Shirahama. Good for playing in the surf (if you would like to rent a surfboard or body board, please let us know in advance) and for relaxing. Please bring a towel etc for this trip.